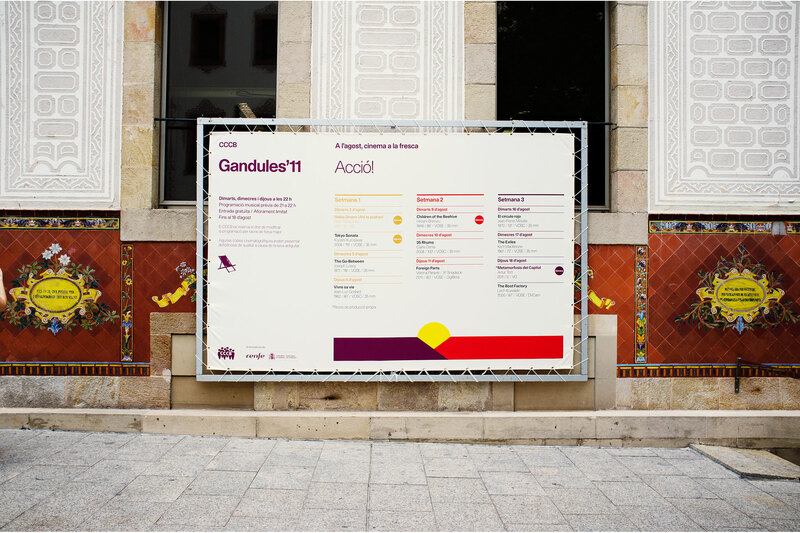 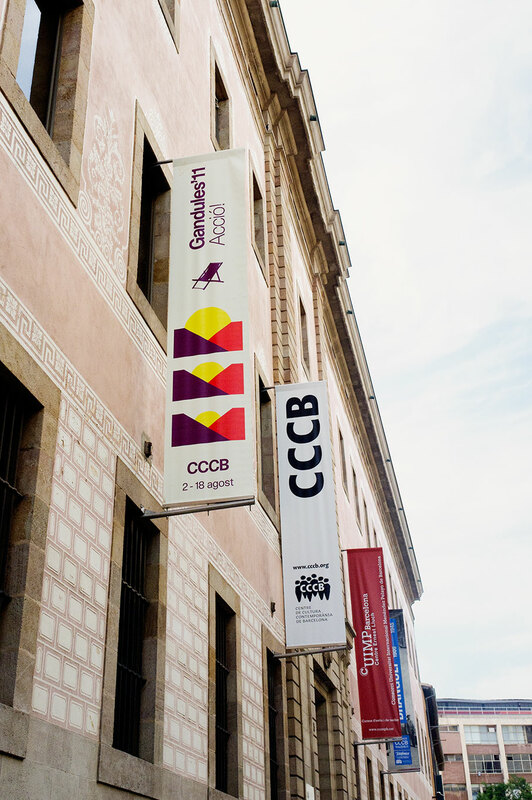 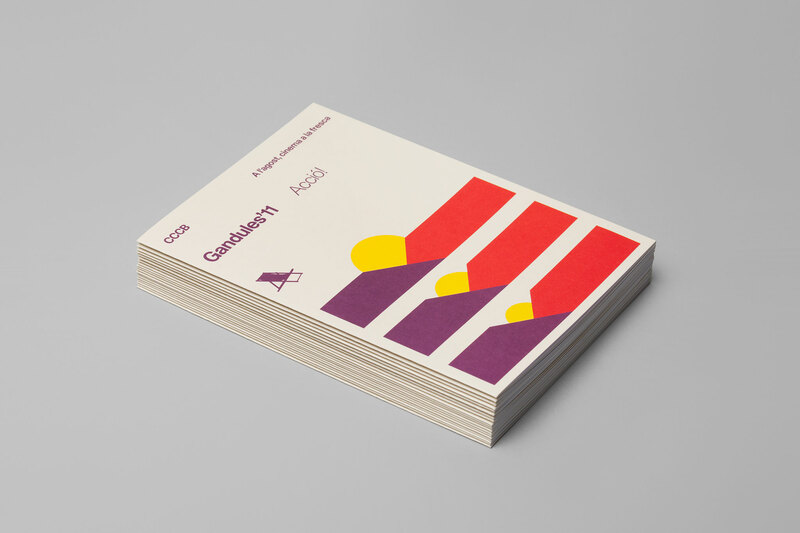 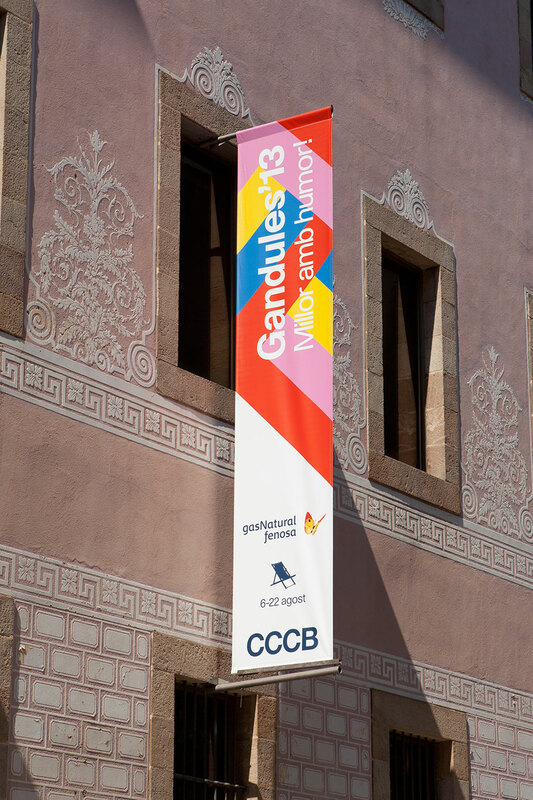 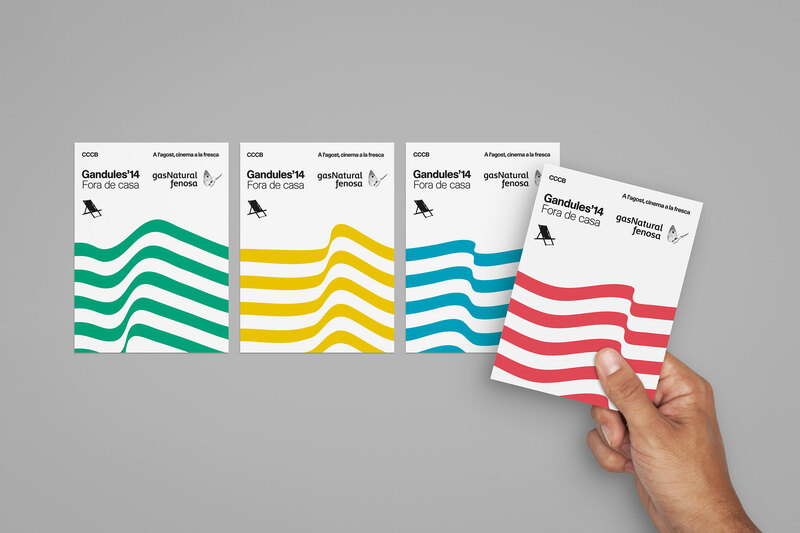 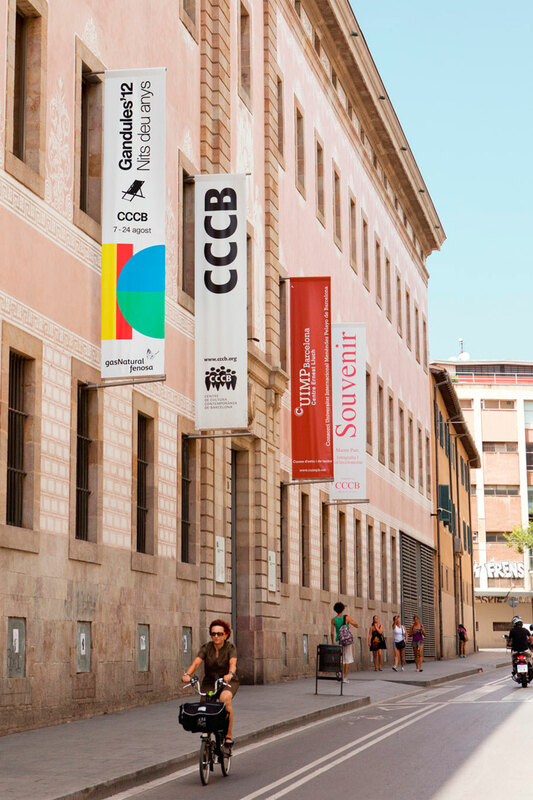 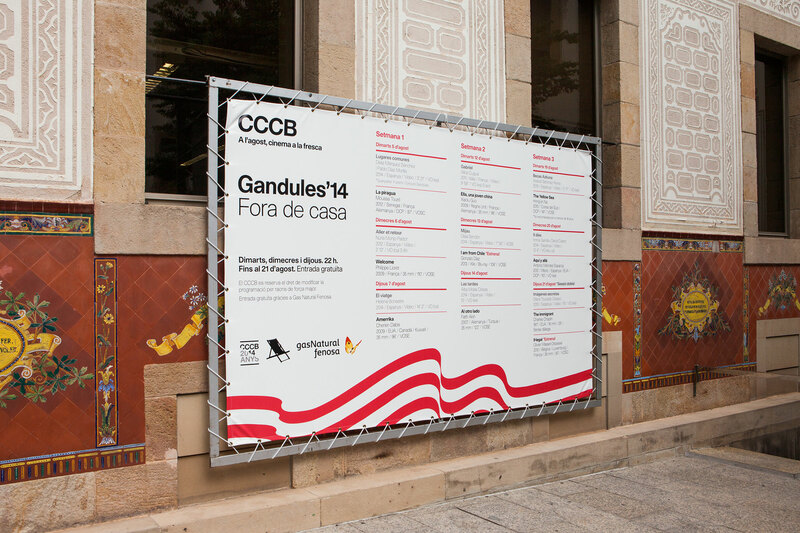 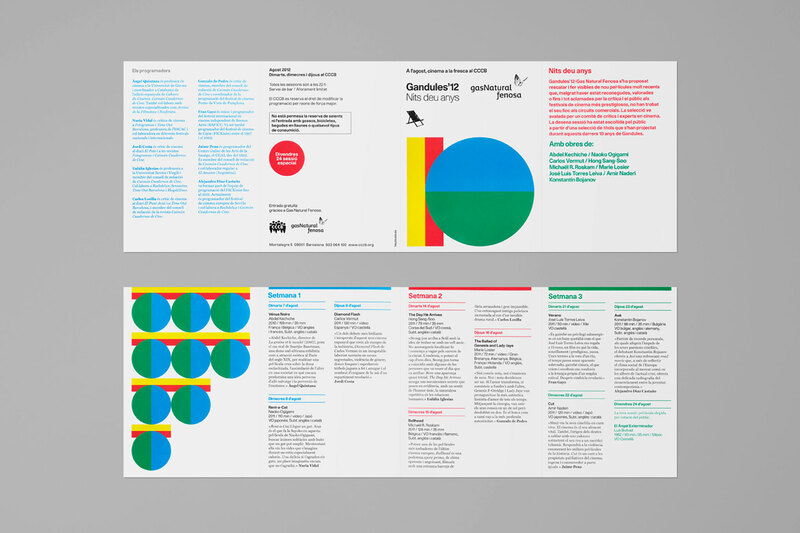 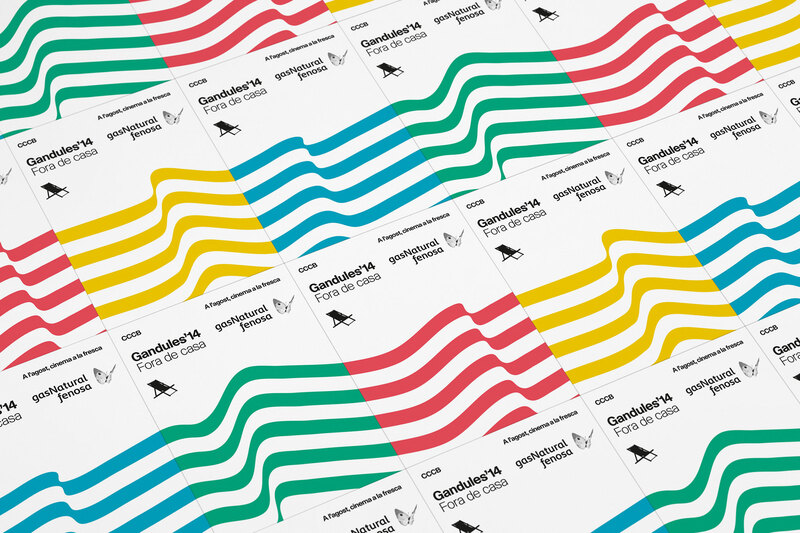 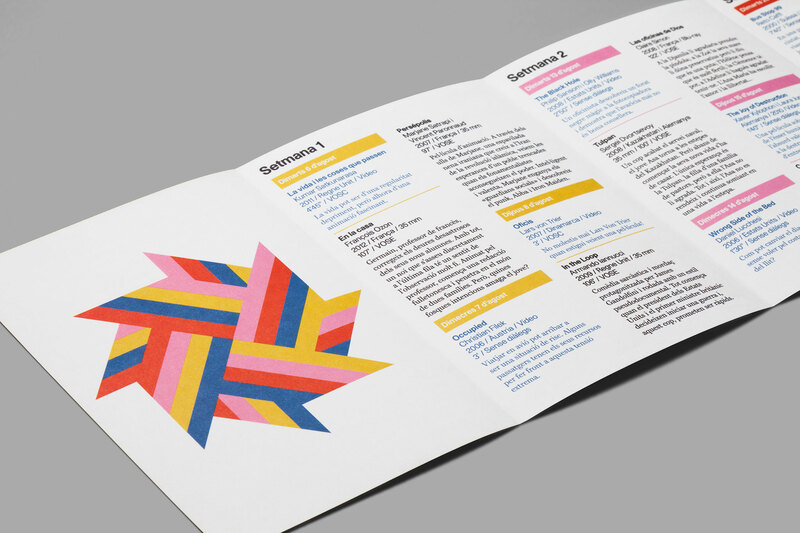 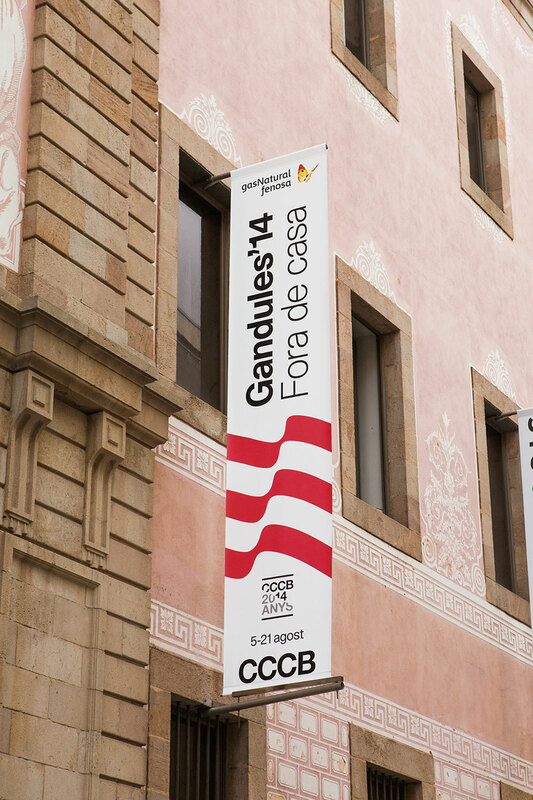 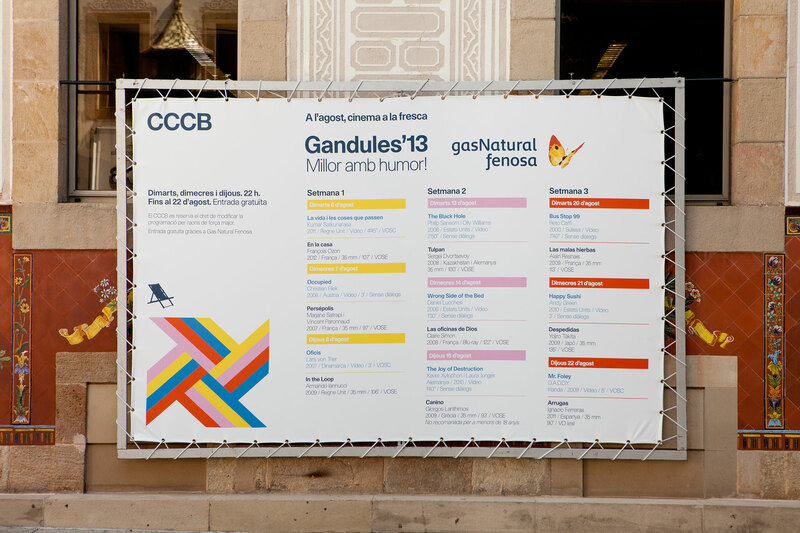 Hey worked for Gandules, the outdoor cinema festival of Centre de Cultura Contemporània de Barcelona –CCCB–, for six years. 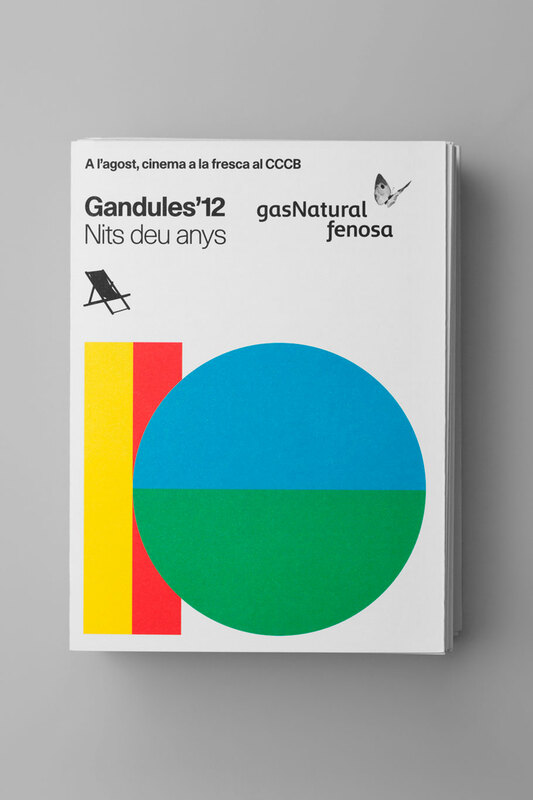 This cinema season is based on a different topic every year. 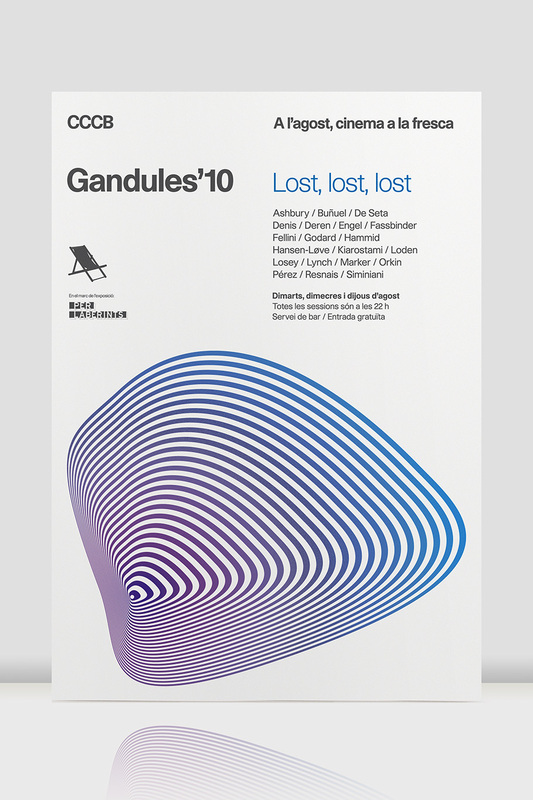 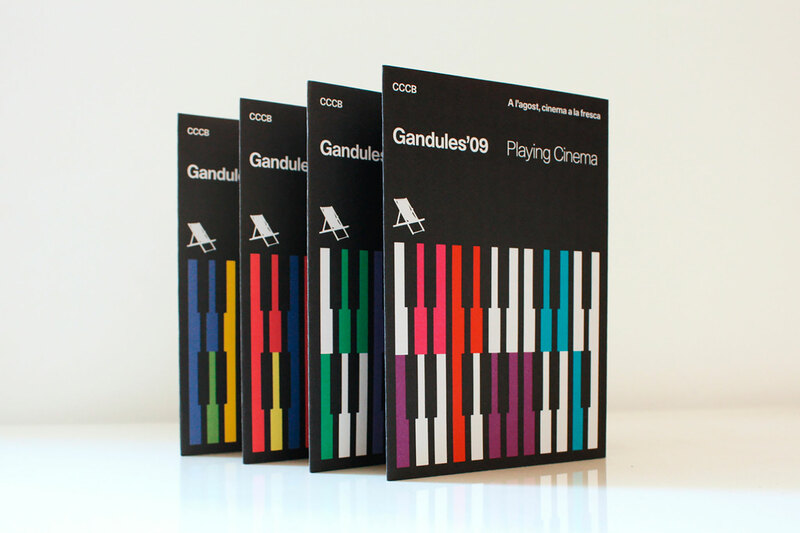 Gandules 2009 was based on the concept Playing Cinema, a season about rhythms, ways and stories that pass from music to the cinema. 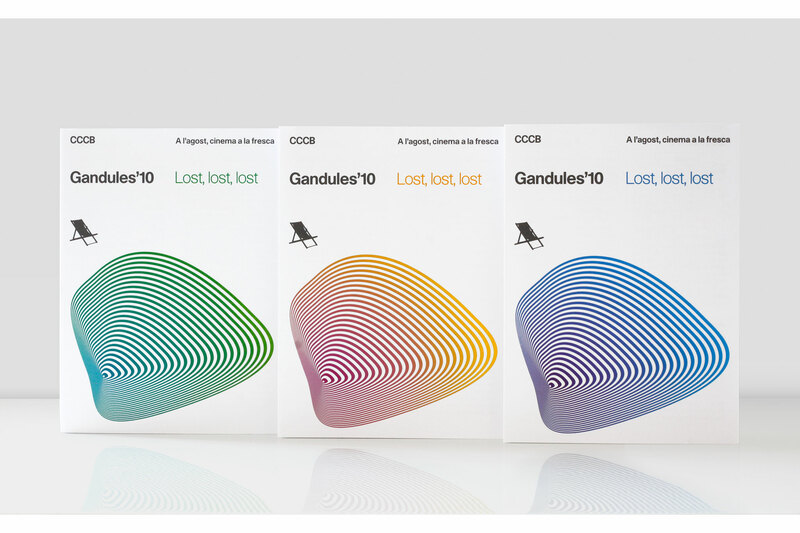 The leitmotiv was inspired in the music as movement, making an abstraction of the piano keys. 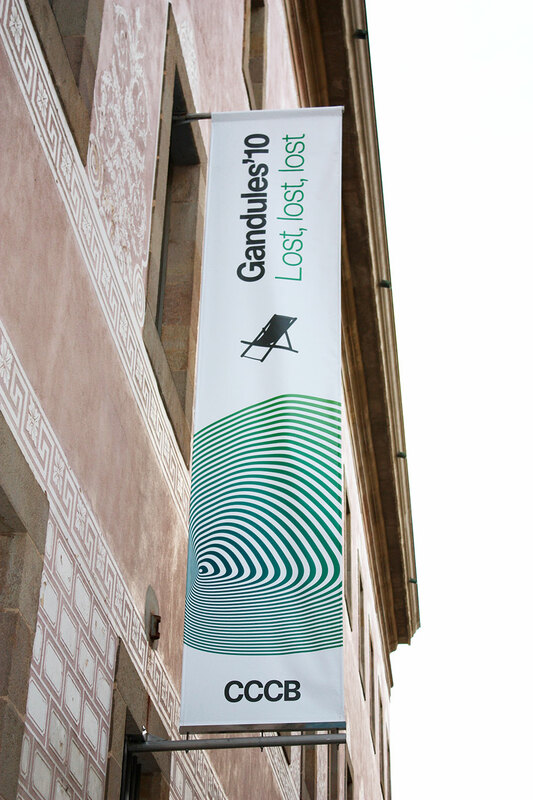 The festival in 2010 was titled Lost, lost, lost and we worked on a graphic proposal that abstractly represent a black hole. 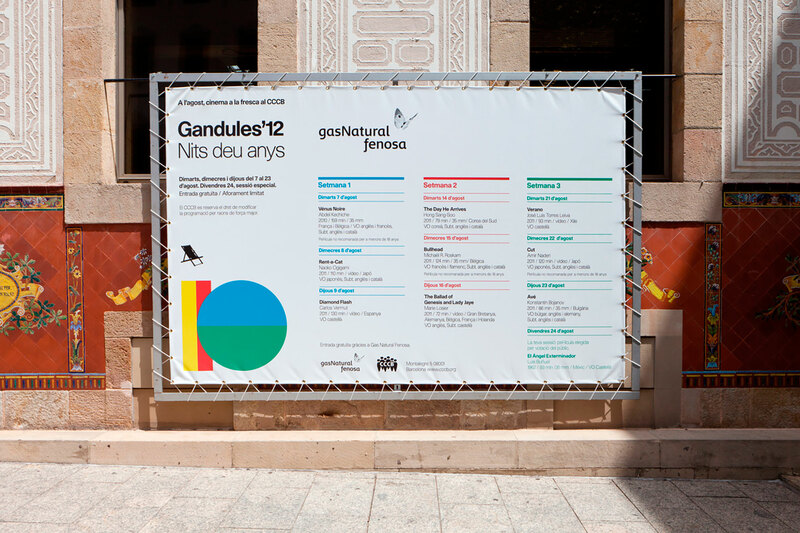 In Gandules 2011 the topic was based on Action! 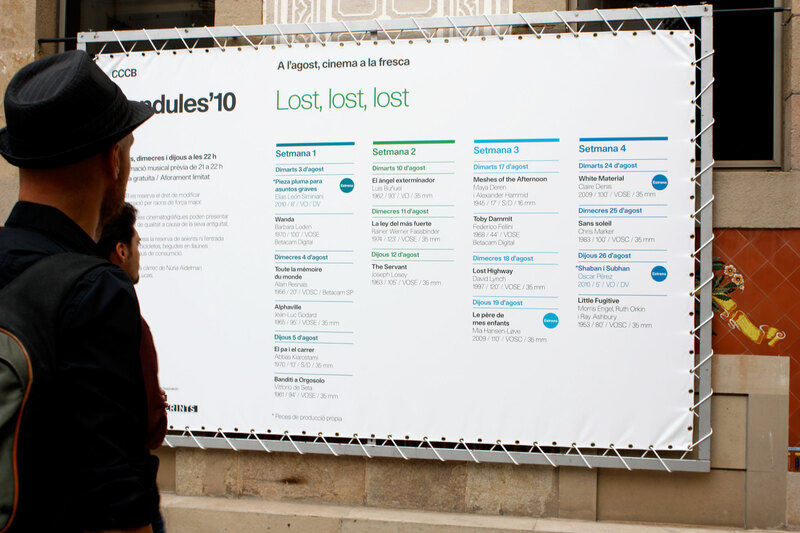 and how crisis generates new approaches and possibilities. 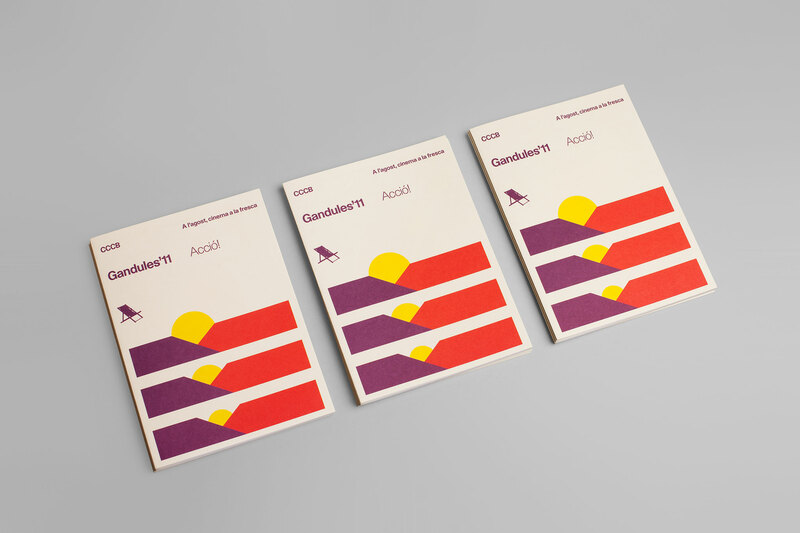 Our illustration of a new dawning was representative of this idea. 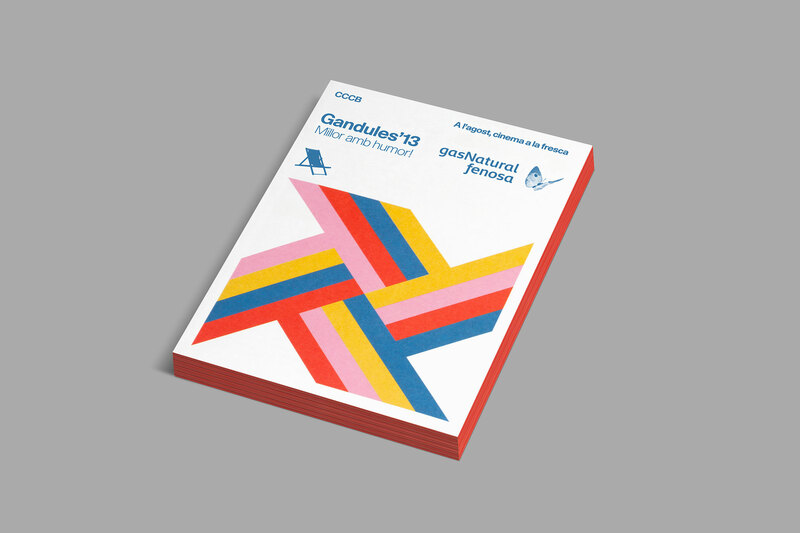 2012 marked the tenth anniversary of the first edition of Gandules and 2013 the topic was based on humor as a means of escape. 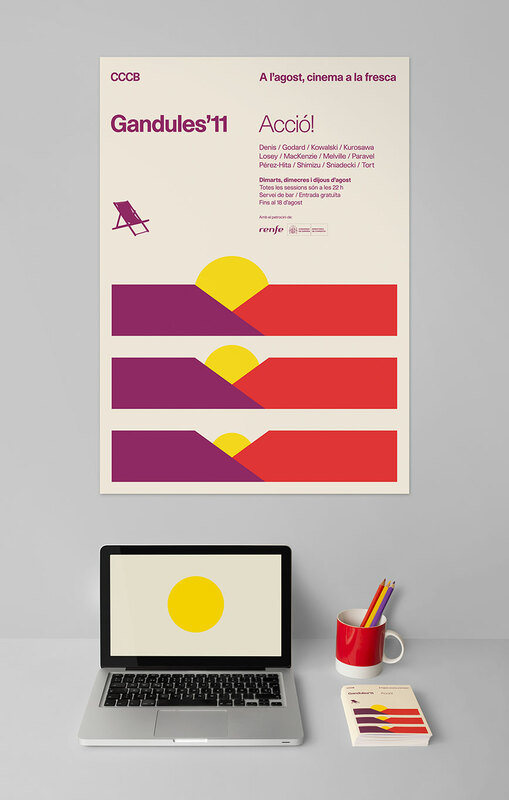 Our illustration of a windmill toy is representative of this idea. 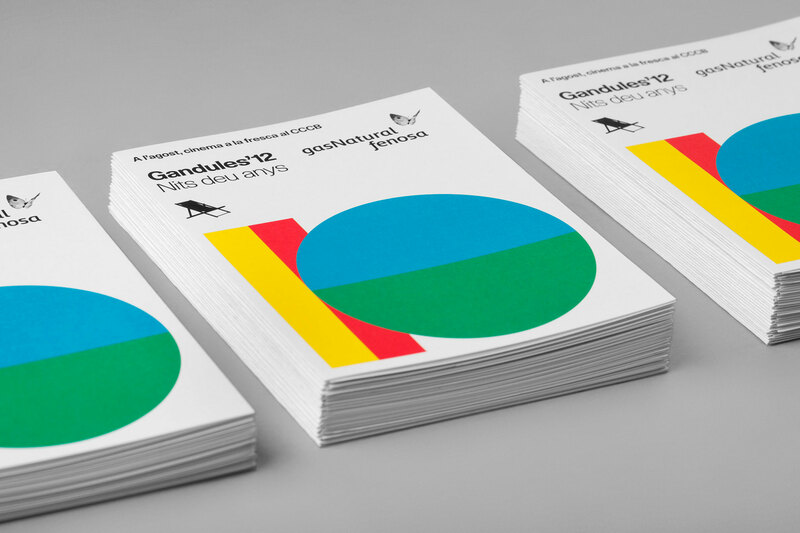 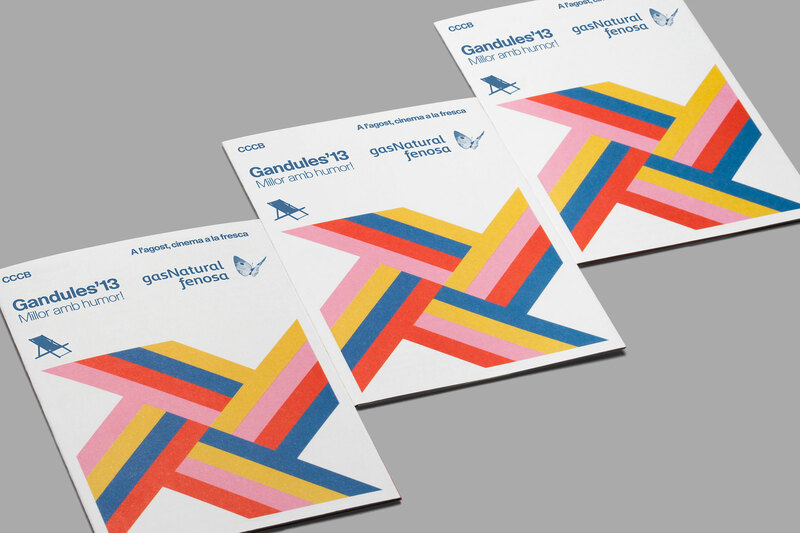 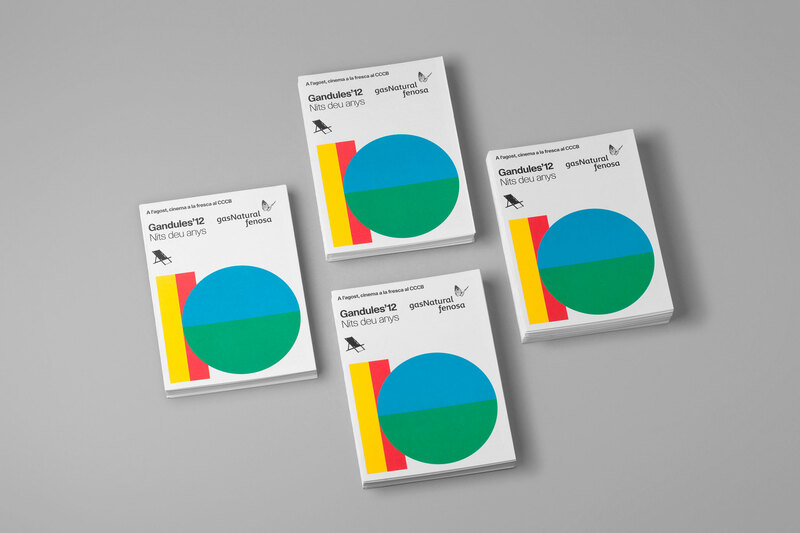 Our last edition for Gandules was 2014. 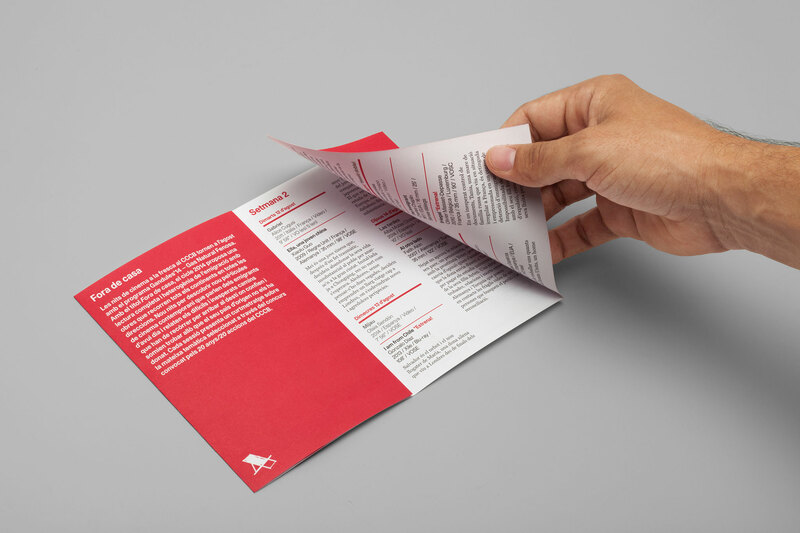 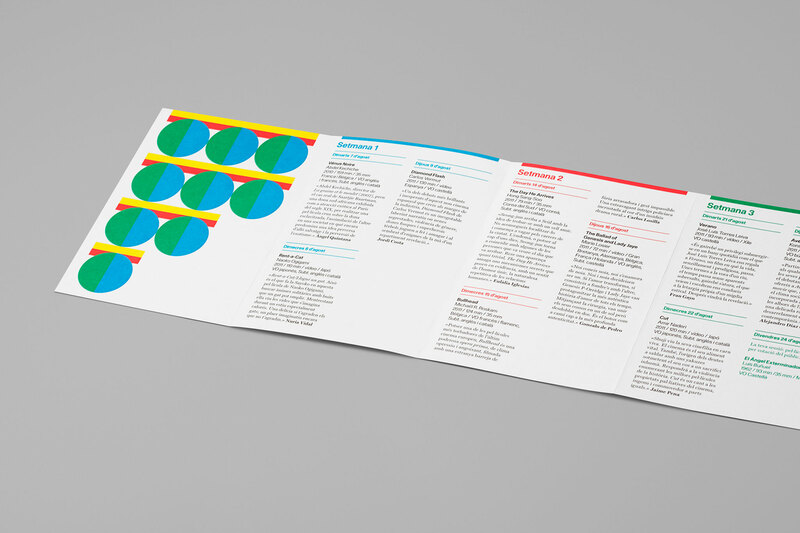 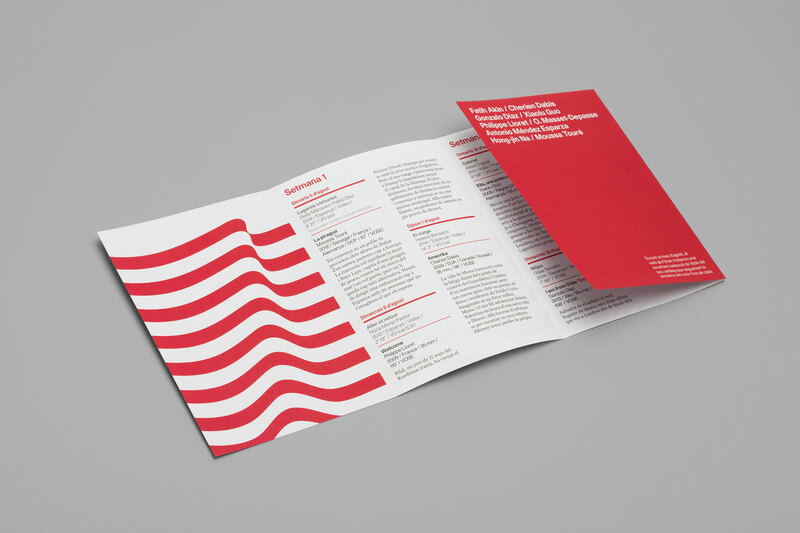 This year the theme was Away from Home and the identity represented a flag and the sea as a frontier between countries and cultures.